BANGKOK — The Lao government should share all information on the investigation into the abduction of Sombath Somphone with family members and independent parties, ending its deceptive game of hiding behind national sovereignty to excuse it from engaging in a sincere conversation regarding the investigation into his disappearance, Southeast Asian lawmakers said today. “The Lao authorities have erected a brick wall of silence on this investigation, so much so that the only intelligent conclusion is that there is in fact no investigation taking place at all and that the obstinacy is part of a cover up for state officials implicated in his abduction,” said Mr. Charles Santiago, Malaysian MP and Vice-President of ASEAN Parliamentarians for Human Rights (APHR). APHR MPs travelled to Lao PDR from September 15–20, in part to conduct a fact-finding mission and follow up on the investigation into the whereabouts of Sombath. During this visit the MPs met with representatives from the Lao government, National Assembly and Ministry of Foreign Affairs, including Mr. Phoukong Sisoulath, who also acts as the Lao Representative to the ASEAN Inter-Governmental Commission on Human Rights (AICHR). As well as the issue of Sombath, APHR MPs were shocked by the fear and restrictions with which the Lao state subdued and curtailed its civil society actors – in part a consequence of the enforced disappearance of Sombath in December 2012. APHR is alarmed by further restrictions planned as part of two new bills to be put before Parliament concerning the operations of local and foreign non-profit organisations in Laos. The decrees aim to restrict and monitor funding of organisations, as well as limit the issues they can work on and engage with. During its meeting, APHR presented Mr. Phoukhong and representatives of the Lao government with legitimate and valid suggestions for breaking the apparent deadlock in the investigation into Sombath’s disappearance. 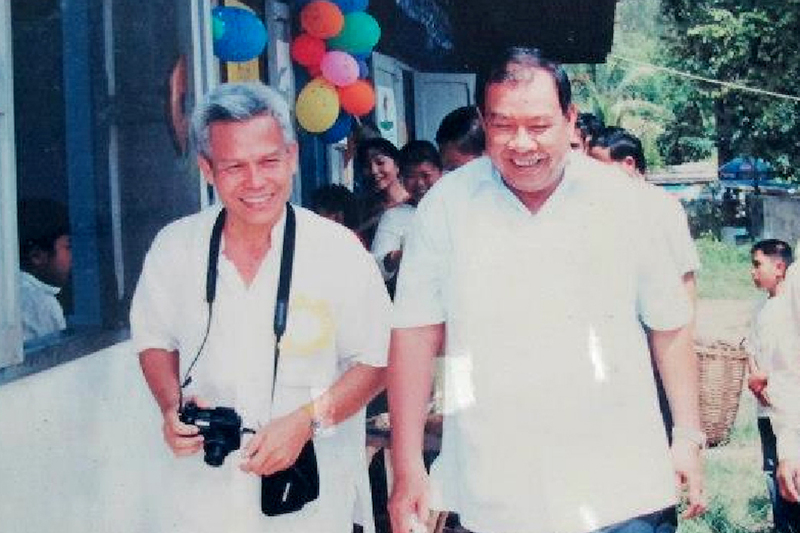 These included setting up a hotline and offering a reward for information on the case, as well as sharing information with other law-enforcement agencies, conducting proper analysis of CCTV footage of his abduction and questioning of officers stationed at the police checkpoint where Sombath was abducted. All of these suggestions were dismissed offhand as incompatible with “Lao tradition”. Requests to be granted access to the case files or meet with the chief investigating officer were also denied. While APHR is grateful to the Lao authorities for granting this meeting and wishes to convey that the discussion was undertaken in a cordial and professional manner, the answers provided remain extremely disappointing, as are the Lao authorities’ consistent efforts to silence any discussion on the issue of Sombath’s disappearance. APHR understands that the United Nations Resident Coordinator of the Lao PDR was asked to remove any mention of Sombath’s disappearance from its Universal Periodic Review Submission. The UN Resident Coordinator did not acquiesce to the government’s request. Non-governmental workers and civil society actors are also held under a strict code of self-enforced silence, fearful of repercussions if they raise what has become one of the most sensitive issues for the Lao regime. “The script that the Lao authorities are reading from has become progressively tighter over the past 18 months: there appears to be a concerted effort to undermine now even the most fundamental, seemingly incontestable aspects of the investigation,” Mr. Santiago said. If the Lao government really wants to solve this case and is as concerned as the rest of us, then why is it blocking all possible avenues for the investigation? asked APHR. The new government line is that the person in the CCTV footage may not in fact be Sombath and it has sought to discredit other investigations into his disappearance by international rights organisations. Lao PDR representatives also suggested that nothing of any interest or suspicion can be seen taking place in the CCTV footage. The original footage has never been made available for independent scrutiny. APHR stressed to the Lao authorities that there is widespread dissatisfaction and anger with its handling of the investigation, as well as the overall human rights situation in the country. APHR advised the Lao government that it risks its international reputation, which among other potential repercussions, could affect its access to development loans and aspirations to sit on the United Nations Human Rights Council in 2016. “If we are unable to solve the disappearance of Sombath Somphone by 2016, then it will cast a dark and permanent shadow over Laos’ chairmanship of ASEAN. It will be the defining factor of its chairmanship, and along with the rising repression of civil society,” said Mr. Santiago. The Lao Government signalled its recognition of the gravity of the crime of enforced disappearance when it signed the Convention Against Enforced Disappearance on 29 September 2008. Accordingly, the Lao authorities are obliged to ensure that state officials do not act in a manner that is contrary to the object and purpose of the treaty, and must be pressed to live up to that commitment. Currently in Laos, freedom of expression is restricted and civil society is subjugated. APHR calls for the Lao authorities to respect and protect the right of human rights defenders and other civil society actors so that they can carry out their work unimpeded. All restrictions in law and practice that are infringing upon the work of civil society organizations in Laos must be repealed and legal provisions on the rights to freedom of expression, peaceful assembly and association must be brought in line with international human rights standards. Several APHR members were also part of a delegation that visited the Lao PDR to follow up on the investigation into the disappearance of Sombath in January 2013. These included Philippines Congressman Walden Bello and Malaysian MP Charles Santiago. The officials they met acknowledged that the disappearance of Sombath was a blow to the reputation of the Lao PDR, but the answers to their questions were far from satisfactory, and they let this be known. APHR remains heartened by continued efforts and support from foreign missions in Vientiane, as well as governments and parliamentarians in Europe and elsewhere who have continued to raise these and other concerns with the Lao authorities.